When it rains, it pours! 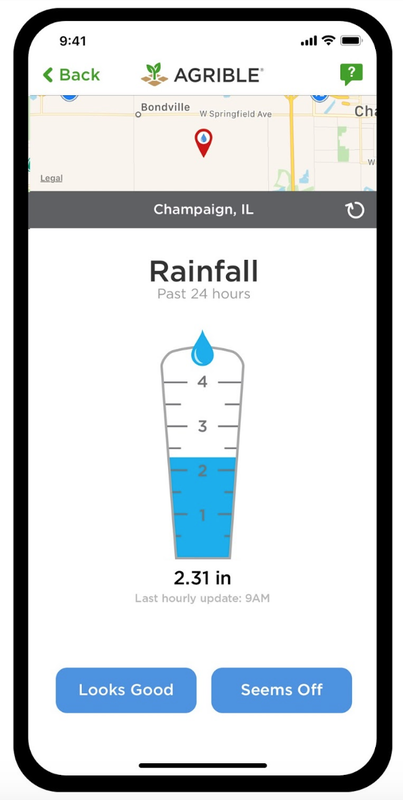 (And we have an app that’ll measure that) — Agrible, Inc.
Agrible’s Pocket Rain Gauge™ celebrates 3 million uses! Pocket Rain Gauge is available for iOS and Android, as well as Apple Watch! Find out how much it rained in the last 24 hours wherever you are! Pocket Rain Gauge users can also get rainfall for all of their fields in their Agrible account, and can easily share their rainfall results with friends, family, co-workers, anyone they’d like. Thanks to everybody who used the app and provided feedback! Head over to the App Store to download the app today.